The question is of course did Pinkie Brown really grow to love Rose Wilson? Answers to be submitted to The RBC Film Club, I’m joking but you must admit it would make a good discussion. 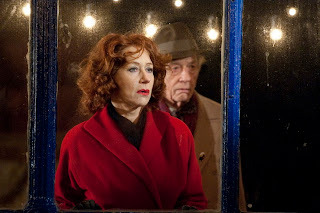 Rowan Joffe adapted for his first feature film Brighton Rock (2010) the 1938 novel of the same name by Graham Greene a story previously adapted by Greene and Terence Rattigan for the 1947 version of the movie directed and produced by the Boulting Brothers and starring Richard Attenbourgh as Pinkie a role he had performed in a West End play three years before. This film version sits at number 15 in the British Film Institute 100 List of great British films. The new Joffe version has changed the original timeline from 1930’s Brighton to the Mod and Rocker era of 1964. 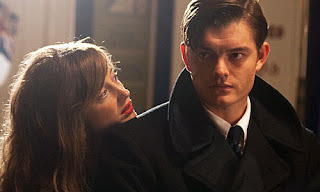 This brooding British noir was very entertaining and I especially enjoyed the fact that it had been updated to an era I was familiar with and for me strengthening the narrative. My only grumble was the ending, Joffe, who also wrote The American the 2010 thriller directed by Anton Corbijn and starring George Clooney, bottled out with his sticking gramophone needle, when you see the film your know what I mean!